What does dig deep mean? Matt Farrell: Seriously, you probably shouldn’t antagonize them since they have all the loaded guns and whatnot. Lucy McClane: Listen. Will you just take a minute and dig deep for a bigger set of balls ’cause you’re gonna need ’em before we’re through. Richie Havens: We really need the money. Our accountants took it all. Peter Noone: We sing to you, those who have money. Once we we’re cool. Al Bundy: But now we just dress funny. John Sebastian: We need you’re help. So please please dig deep. Richie Havens: But don’t call after ten ’cause we’ll be asleep. Robby Krieger: We have Medicare and anti-gas pills. Mark Lindsay: But without your help we can’t pay our alimony bills. Rango: Ah excuse me… Mister Spirit. Sir? Spirit of the West: Now there’s a beaut. 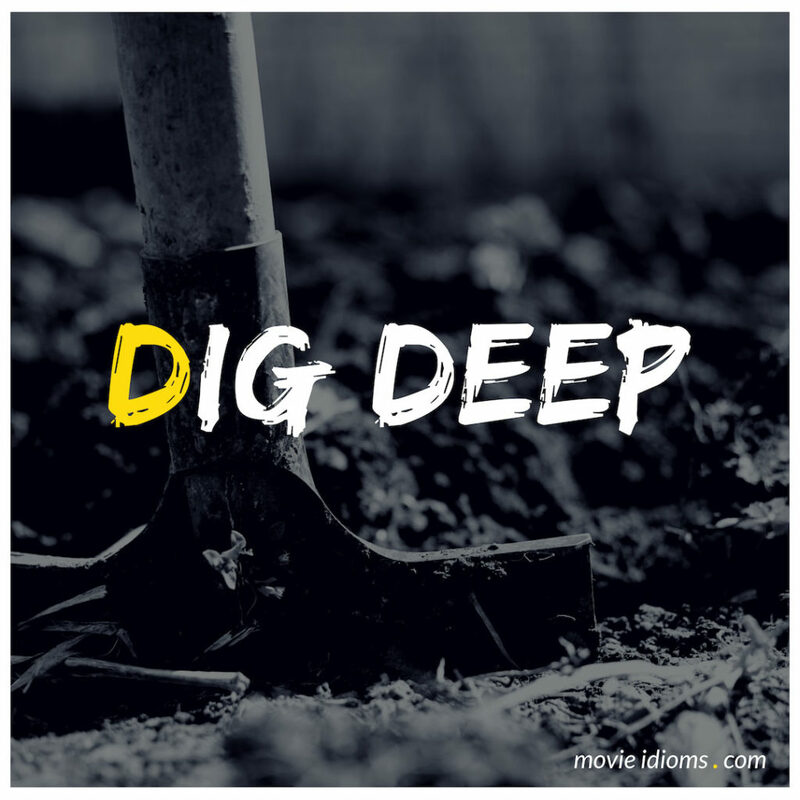 Sometimes you have to dig deep to find what you’re looking for. So you made it.